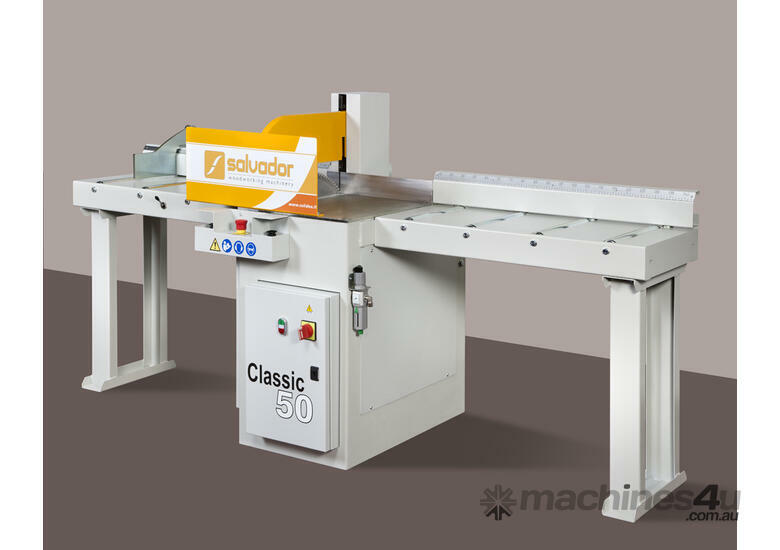 WHY IS THE SALAVADOR MORE EXPENSIVE THAN COMPARITIVE ASIAN MACHINES..
hard steel, high thickness and really strong. Solid, compact and stable! should not perform any special setting or adjustment. Simple, easy and flexible! cover allows to work with absolute safety-Safe, protected and secure! but can be equipped with any length in-feed and out-feed tables. 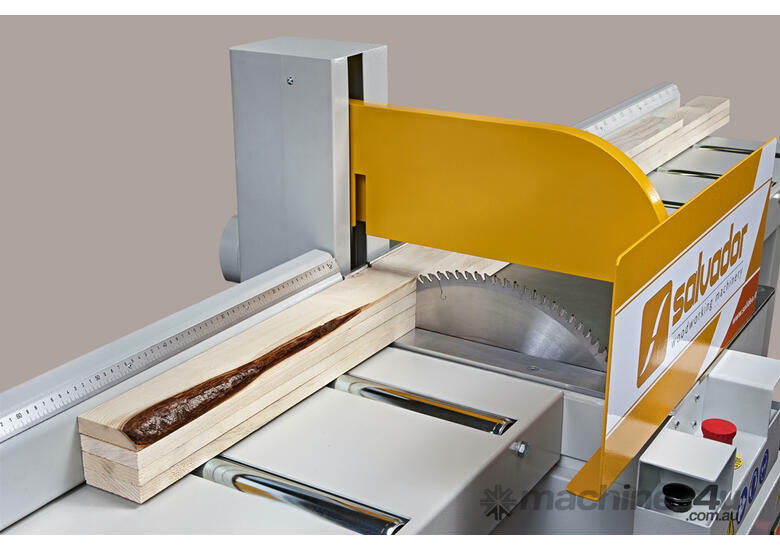 Cutting section max. mm. 220x125/ 260x100/285x80/310x50. In case of packet cutting height max. mm 100. Structure completely in varnished hard steel, high thickness and really strong. Solid anchoring to the floor with special flanged steel feet with fixing hole. Two-handed safety manual control with ergonomic position. Blade motor power kW 5,5. 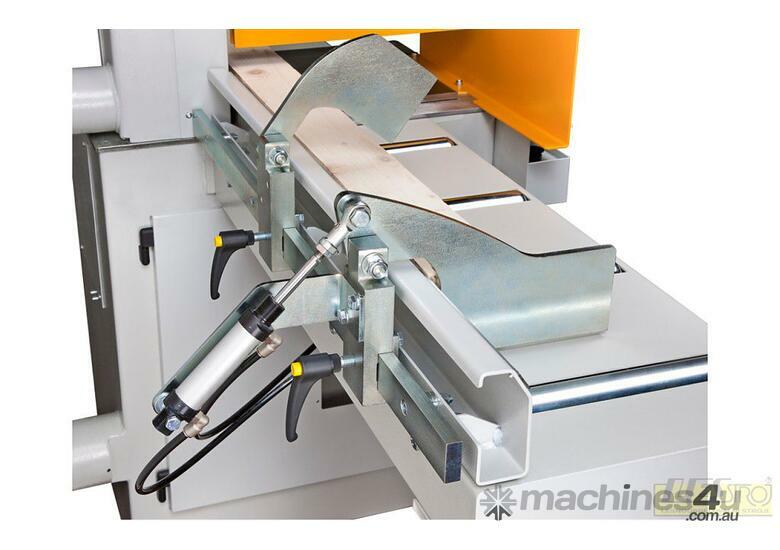 Cutting speed adjustable by pneumatic trimmer on the machine. System to balance the cutting group weight giving long life. Special amortizing system. Independent pneumatic regulations to adapt to the different types of work. Aluminium blade soft inserts of long duration and easy to change. Circular in HM, diameter mm. 500. Z=108. Bore mm. 35. Upper pneumatic hood to block the pieces with electro-pneumatic management.